This manual cover everything you need to know about your vehicle. It is proposed in a very easy and comprehensive layout format. All major repair topics are explained in great detail. Hundreds of photos, diagrams and illustrations show the complete procedures of disassembly and reassembly. Step by step instructions guide you through each job with ease. Many specifications let you to know a lot of details as fluid capacities, timing positions, wiring schematics, maintenance schedule and much more. 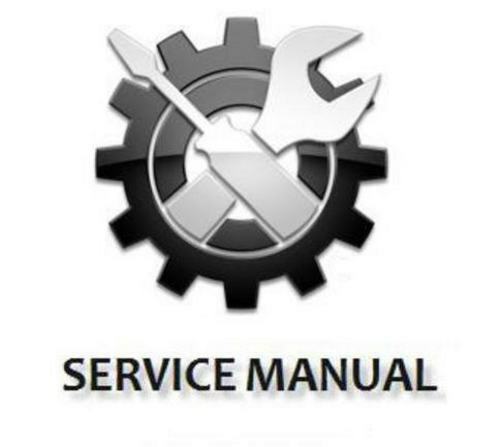 This is not a generic service information manual, it is a specific repair manual. It's the same type of manual that your local dealer/mechanic would use, but often has no. It will help you to save a lot of money. Easy to use! If you can open up an email then you can use this manual, its that simple! This manual is in PDF format and will work on any version of Windows or Mac computer have Adobe PDF Reader on. Updating your version of Reader you will be sure to read all pdf files and to have all the features of the latest version. Fix it today! Print the chapter you need or the entire manual if you prefer. No fear of damaging an expensive manual during the workshop procedures! No boredom to wait some weeks for a cd shipped by ordinary mail!